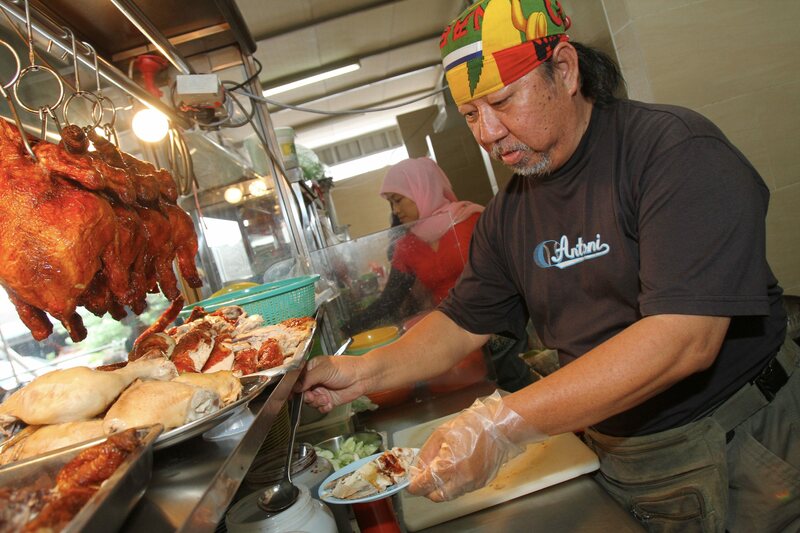 Restoran Jamal Mohamed is a favourite for the Star People’s Food Awards on Metro Online Broadcast (MOB). THOSE who have a penchant for street food, now is the time to nominate your favourite eateries for the Star People’s Food Awards. Organised for the first time by The Star Media Group, the contest, which started this month, highlights a local street food each month for 12 months. The public can submit their pictures and write-ups online, and vote for the ones they feel are most worthy of the title. At the end of the contest, the best of the best will engage in an all-out cookout. Suria FM DJs Halim Othman (left) and Adibah Noor enjoying their chicken rice at Barry’s stall in Restoran Jamal Mohamed, Kelana Jaya. Recently, Suria FM radio announcers Adibah Noor and Halim Othman checked out a chicken rice stall at Restoran Jamal Mohamed in SS5, Kelana Jaya. The dynamic duo were excited to be on the panel of judges (Adibah Noor has since opted out as a judge –Ed. ), as both confessed to loving food. “Any reason to eat is good enough for me,” said Adibah. The chicken rice shop that they tried, run by the owner who only wanted to be known as Barry, has been operating for five years. At first glance, Barry’s physical profile fits that of a Harley biker rather than a chicken rice shop owner. Dressed in sporty clothes and a bandana, the entrepreneur was in the marketing line before he decided to start his chicken rice venture. The chicken rice stall owner and cook Barry. “I learnt to make it through experimentation, trial and error. “If my customers like eating it and keep coming back for more, I guess I am doing something right,” he said. Barry, who is Hainanese, takes a hands-on approach to his cooking were preparing the food fresh, every day. He added that the three important factors — to ensure the rice, chicken and chilli sauce were done well. So what did our celebrity judges have to say about the food? “The rice is perfect, with a subtle balance between the butter and the rice,” said Adibah. Halim said the chicken was fresh and perfectly roasted. “I like the sauce because it has just the right amount of sweetness. The vegetables are crunchy and the portion is generous,” he said. For both poached chicken and roast chicken rice, the price is RM4.50 a plate. The thigh portion is priced at RM5, while the drumstick goes for RM6 or RM11 for both. Barry’s chicken rice at Restoran Jamal Mohamed is located in Jalan SS5A/9 (opposite Wisma FAM), Kelana Jaya. 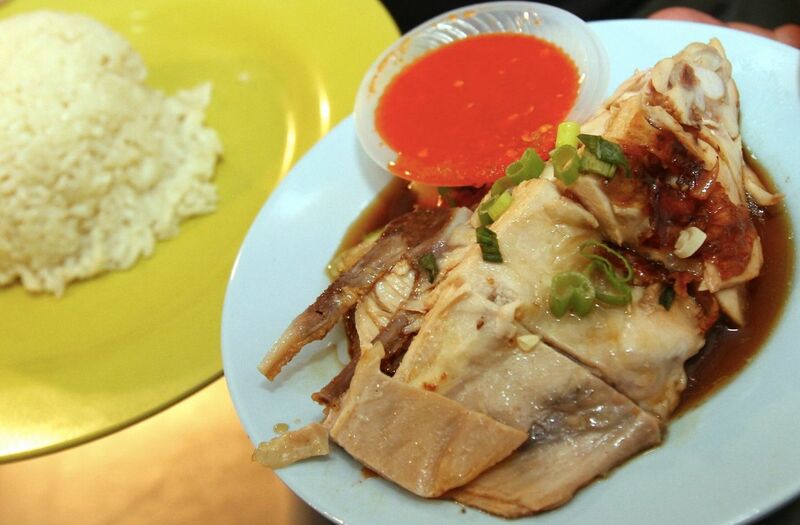 If you have a pick for your favourite chicken rice, submit your entries on mob.com.my. Nomination is from the 1st, while voting starts on the 15th of each month. Those who nominate, vote, or successfully share a link stand to win attractive prizes such as hotel stays and dining vouchers in five-star establishments.